The health insurance landscape is changing and being aware of and embracing employee benefits solutions in 2019 is essential for employers to stay competitive. In 2018, advances in technology allowed us to change the entire healthcare experience for members. What began as the migration to electronic medical records and online member portals for insurance information has morphed into fully functioning virtual experience for healthcare. Members interact with a physician virtually for treatment of many common illnesses and conditions without leaving their homes. This digitization means that you can see transparent pricing and outcomes associated with facilities and services. This year should be the year of benefits enlightenment. The focus should be on the end user and the evolution of an employee population. According to a recent MetLife study, 72% of employees agree that the ability to customize benefits increases loyalty with their employer. Tailoring benefits seems like a no-brainer considering the differences in demographic demand. Where are your employees in the game of life? Newly graduated, married, parents? Caring for aging parents or are they on the track to retirement? A benefits program and enrollment system should be in line with these experiences and allow each employee to self-select the benefits that make the most sense for each phase of the journey. The expansion of Accountable Care Organizations with a focus on keeping member care centered within a single provider system has been a proven model of success. As hospital systems continue to merge and expand their physician practice footprint, member’s ability to receive a comprehensive healthcare journey under one umbrella is dramatically improved. This allows for a focus to be placed on continuity of care, appropriate access to treatment facilities, and financial outlay within contracted bounds. The entrepreneurial spirit that has proven strong in 2018 will continue through 2019. Employers are willing to think outside the financial box when it comes to their healthcare plan design and arrangements. The willingness to “bet on themselves” takes consumerism into the administration of traditional employer-sponsored plans. This is being achieved through creative funding models. Self-funding was once held strictly for employers with upwards of 1000 employees. Now employers with as few as 10 employees in some states can take advantage of alternate funding models to leverage their positive experience into cost and risk containment. Reference Based Pricing (RBP) is the latest innovation to appear on the alternate funding stage. This program allows a health plan to leverage published Medicare reimbursement schedules to create pricing models for a health plan. This removes the contract negotiation from the traditional insurance carrier model and creates transparency and true cost containment strategies. The rise of the millennial workforce has encouraged employers to seek new ways to communicate with and educate employees. Benefits are a key component of a recruitment and retention strategy, but delivery in a paper format with tedious requirements and hassles can create a negative experience and perfection with employees and candidates. Outside of work, employees conduct many of their activities through their phones. As a result, they expect the same easy to navigate smartphone applications and electronic interfaces to manage their employer-sponsored benefits plans. They respond best to tools that allow visual stimulation, easy comparison and real-time access to information from anywhere. Millennials continue to shake up the workforce as employers come to notice that the new generation of employees is less interested in putting aside funds for a 401(k), and more concerned with paying down drastically high student loan balances. Why are employers looking at these plans? The reality is that student loan debt not only impacts millennials but baby boomers too. These programs are robust and include financial counseling and modeling tools. Some employers are even considering matching programs. Click here to read more about student loan benefits offerings. Whether incorporated as part of a strategic plan or merely providing the benefits as “value-adds” there is an opportunity for employers to remind employees of current programs within the benefits program offered and consider offering trendy benefits or perks for working parents. Flexibility, convenience, child care benefits and real maternity and paternity leave are only a few of the offerings we’re seeing employers adopt. In a multi-generational workforce, the modern working parent can range significantly, considering innovative and supportive benefits can help employees get more value from the benefit offerings. The key focus will be on the delivery mechanism and the overall portfolio of offerings. Look for innovation in offerings of student loan repayment, medical tourism, pet insurance, travel assistance, and community service focused activities. While some healthcare markets have evolved to adopt these trends, most employers would benefit from embracing them ahead of the competition in 2019. Consider taking a fresh approach to employee benefits cost management and innovation in the coming year. 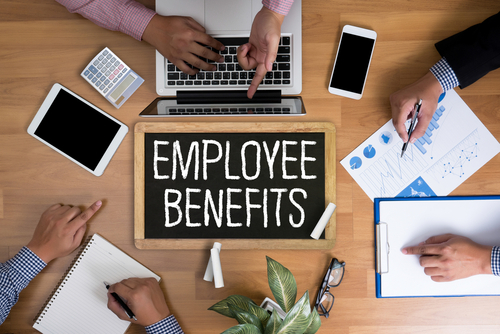 To learn more about benefit trends to watch for in 2019, or how to successfully incorporate them into to your employee benefit plan design, contact us today.